Low on budget and short on space? You’re definitely not alone. 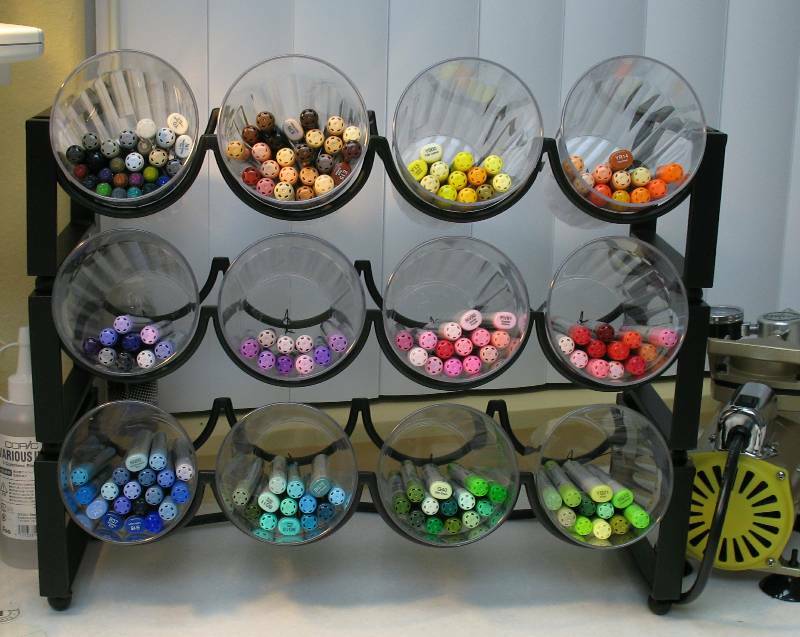 We’ve put together a list of storage solutions to help art teachers and parents everywhere. 1. 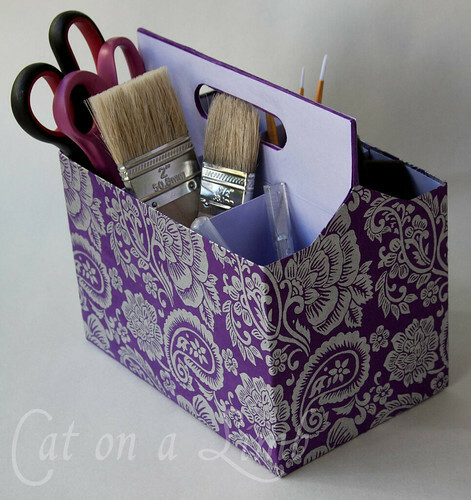 Use free boxes from the post office or supermarkets as paper bins. We’ll leave the decoration ideas up to you! 2. Velcro old Crystal Light, Pringle, or similar containers to a board to keep markers and chalk to hand. 3. 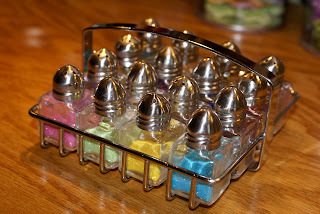 At last – a smart way to store glitter! 4. Make cubby holes and shelving by zip tying crates together (be sure to attach to a wall for safety!). 5. Plastic cups in a muffin tin is a cheap way to keep supplies organised. 6. Look up! All manner of things can be suspended and hung from a curtain rod, including shoe organisers for extra shelving space. 7. Hot glue tacks onto clothes pegs for hanging art work. 8. 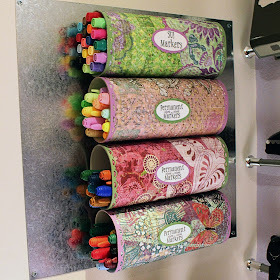 A wine rack and plastic cups make an elegant storage solution for pens! 9. 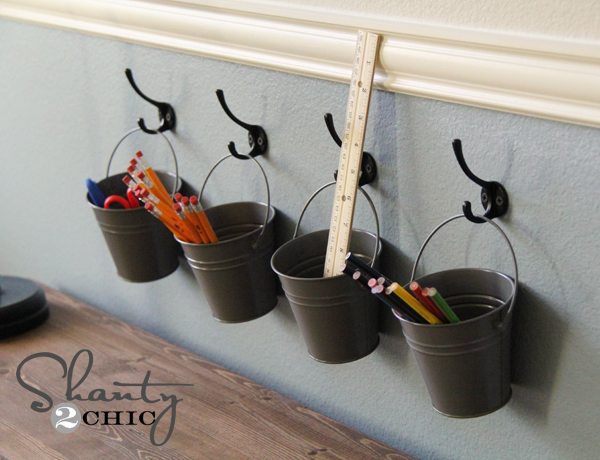 Shoe racks on desks help to maximize storage space. 10. 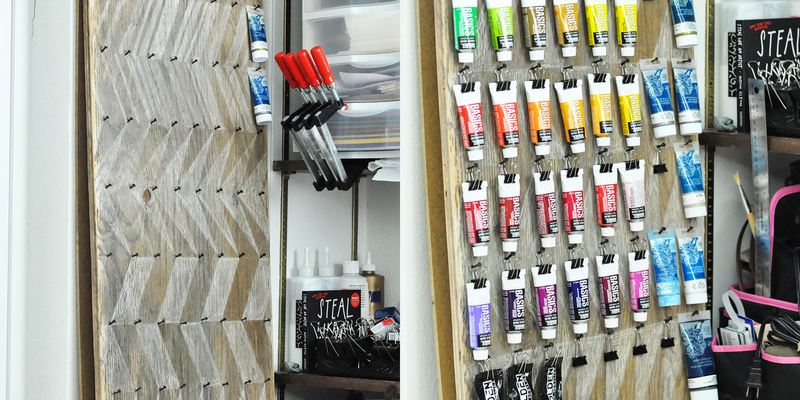 Use nails and clips to make a paint storage board on a wall or inside a cupboard door. 11. Mountable bucket storage is practical and good looking. 12. 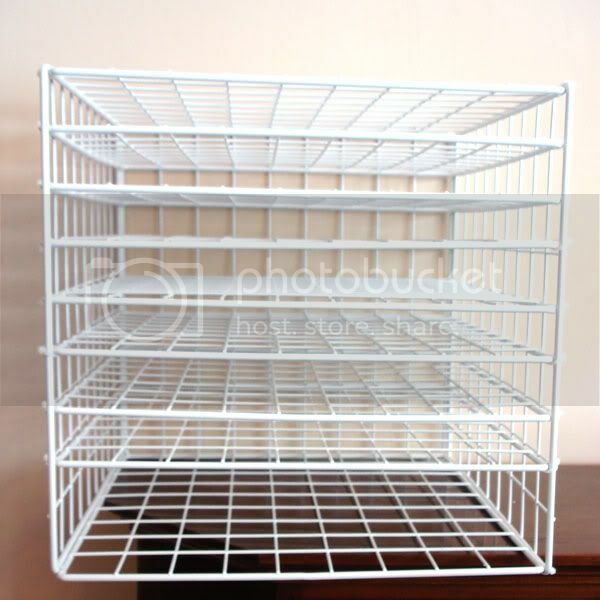 Tie together plastic wire grids to make drying racks or storage space. More instructions here. 13. 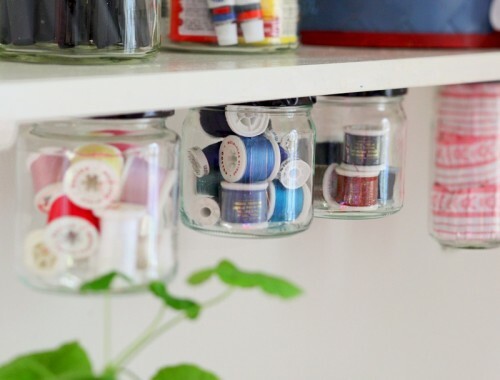 Secure mason jar lids under shelves with a nail to store small items. 14. Give a six pack beer holder a new lease of life and use it to distribute supplies. 15. Fill a plant pot or urn with pebbles for storing paint brushes. 16. Construct an arts center using cardboard boxes glued to a board. 17. 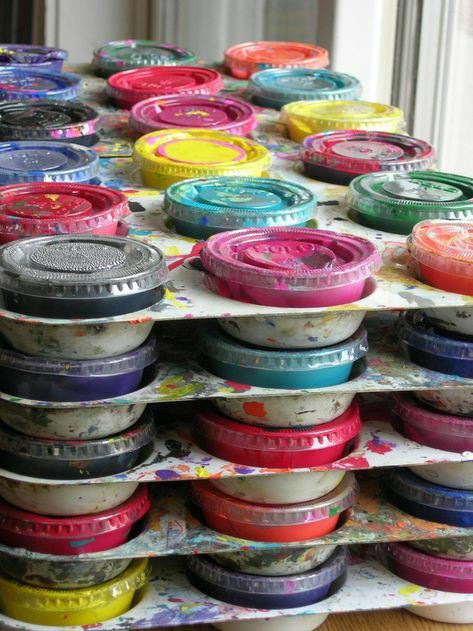 Use empty sauce containers to store and distribute paint. 18. Keep rolls of paper tidy. If you don’t have a wire rack, a piece of wood or bungee cord works as well. 19. Keep glue soaked sponges in food containers with lids for easy distribution. 20. Save space and store all of your student’s amazing artwork for free in an online portfolio on Creatubbles! It’s actually a good idea to keep it clean, tidy and neat…..
Neat because whenever we use something we just use and keep it somewhere,so next time we take time to search that..
We do agree, Lakshmi! 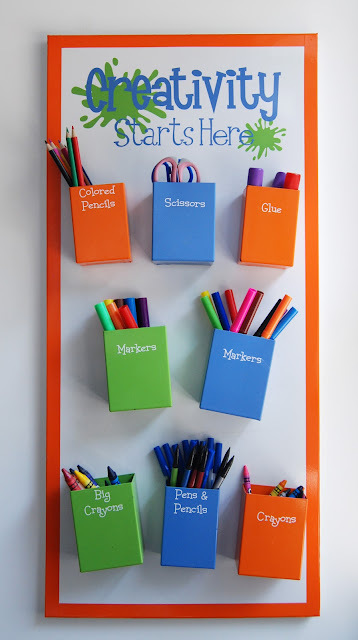 How do you keep your classroom organised? Marvelous ideas ,I certainly going to try them. Thank you for your comment, Faye! Which of these storage ideas are you planning to try out this year? Fantastic tips, thanks for sharing, Katie! That’s fantastic to hear, thank you! Thanks for your kind words, Sujatha! Glad you liked it! Great tips, Pamela! Thank you for your comment! That’s awesome to hear, we really appreciate your comment, Cerynna! It would be amazing to see your art on creatubbles.com – would you mind uploading it there?